Lepky, Bohdan [Лепкий, Богдан; Lepkyj], b 4 November 1872 in Krehulets, Husiatyn county, Galicia, d 21 July 1941 in Cracow. Galician writer, literary scholar, civic figure, and artist; member of the Shevchenko Scientific Society from 1932; son of Sylvestr Lepky. Lepky studied at Lviv University, the University of Vienna, and Cracow University and then taught in gymnasiums in Berezhany (1895–9) and at Cracow University (1899–1941). His home in Cracow was a well-known meeting place for Ukrainian writers, artists, and scholars. During the First World War he taught in Vienna; he also worked in the Ukrainian Cultural Council there and for the Union for the Liberation of Ukraine, as a teacher of Ukrainians interned in German prisoner of war camps in Wetzlar and Rastatt. From 1921 to 1926 he lived in Berlin; he worked there for the Ukrainske Slovo publishers and the Ukrainian Red Cross and taught courses organized by the Association of Ukrainian Students. From 1926 to 1939 he again taught at Cracow University (from 1932 as the holder of the chair of Ukrainian literature) and was a major promoter of Ukrainian culture in Polish circles. He received an honorary doctorate from the Ukrainian Free University. 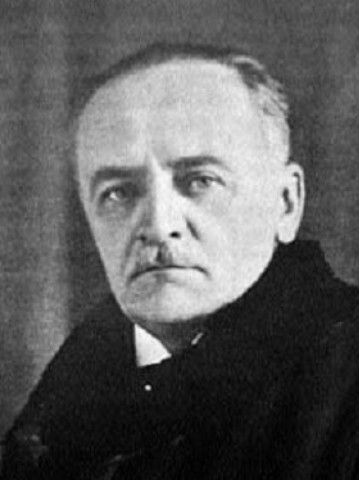 In 1938–9 he was a member of the Polish Senate. From 1939 he worked for the Ukrainske Vydavnytstvo (Cracow) publishing house. Inspired by Mykola Vorony, Vasyl Shchurat, and Ivan Franko, Lepky debuted as a writer in 1895. In 1906 he became a founding member of the Moloda Muza writers' group. 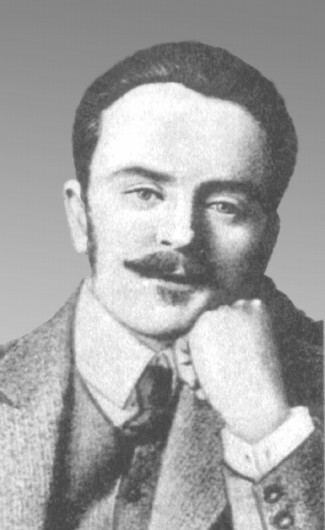 Some of his poems were put to music by Ukrainian composers; the requiem song ‘Zhuravli’ (Cranes), composed by his brother, Lev Lepky, is the most famous of them. From 1898 to 1911 over a dozen collections of Lepky's realistic stories (about the peasants' plight, the rural clergy, and generational conflict) and impressionist prose poems appeared. Between the years 1901 and 1920 he also published over 15 collections of predominantly neoromantic and lyrical (elegiac and introspective) but also social and patriotic poetry. A good half of Lepky's poems and almost all of his stories were republished in two volumes titled Pysannia (Writings) in 1922. After the First World War Lepky turned to writing historical novels, such as the (unfortunately esthetically uneven) Ukrainian historical prose epic Mazepa, which consists of the novels Motria (2 vols, 1926), Ne vbyvai (Do Not Kill, 1926), Baturyn (1927), Poltava (vol 1: Nad Desnoiu [At the Desna, 1928]; vol 2: Boï [Battles, 1929]), and the posthumously published Z-pid Poltavy do Bender (From [the Battle of] Poltava to Bendery, 1955). He also wrote the historical novels Sotnykivna (The Captain's Daughter, 1927), Vadym (1930), and Krutizh: Istorychni maliunky z chasiv Het’mana Ivana Vyhovs’koho (The Abyss: Historical Pictures from the Time of Hetman Ivan Vyhovsky, 1941) and the publicistic-philosophical novels Pid tykhyi vechir (Toward a Quiet Evening, 1923), Zirka (A Star, 1929), and Veselka nad pustarem (The Rainbow over the Wasteland, 1930). In the 1930s he also wrote stories and poems for children. Lepky published articles on Ukrainian literature in Polish and Western Ukrainian periodicals and handbooks. 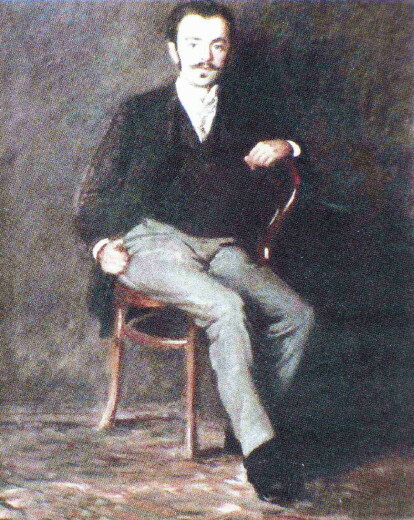 He prepared and wrote critical introductions and notes to Halytska Nakladnia (later Ukrainska Nakladnia) and Ukrainske Slovo editions of works by Taras Shevchenko (3 vols, 1918–19 and 5 vols, 1919–20), Marko Vovchok (3 vols, 1923), Ivan Kotliarevsky (2 vols, 1922), Panteleimon Kulish (4 vols, 1922–3), Oleksa Storozhenko (2 vols, 1922), and other writers. He also wrote one of the first surveys of old Ukrainian literature (2 vols, 1909, 1912), biographies of Shevchenko (1911, 1918) and Markiian Shashkevych (1912), the book of literary essays Nezabutni (The Unforgettable, 1922), a Polish survey of Ukrainian literature (1930), a book on the problem of translating lyric poetry (1934), and the survey Nashe pys’menstvo (Our Literature, 1941). Lepky's memoirs of Ivan Franko, Vasyl Stefanyk, and Władysław Orkan appeared as Try portrety (Three Portraits, 1937), and his collected autobiographic prose was republished posthumously as Kazka moho zhyttia (The Tale of My Life, 1967). A selection of Lepky's works appeared in a single volume in Ukraine in 1990. He compiled songbooks, primers, and the poetry anthology Struny (Strings, 2 vols, 1922) and translated the medieval epic Slovo o polku Ihorevi (The Tale of Ihor's Campaign) into Polish (1905) and the modern Ukrainian language (1915) and works by Mykhailo Kotsiubynsky, Taras Shevchenko, and other Ukrainian writers into Polish. He translated German, Polish, Russian, and English poetry, fairy tales by the Grimm brothers, other children's stories, Oscar Wilde's Salome, and Daniel Defoe's Robinson Crusoe into Ukrainian. He was also an accomplished artist. In 1932 a 60th-birthday exhibition of his landscapes, portraits, and historical paintings was organized in Cracow.